Mark Worman is just the no-nonsense, old-school, get-it-done, no-holds-barred kind of guy we like to work with. A killer work ethic and no room or mind for dilly-dallying—that’s what makes a business run, and Mark takes it all to the next level. So, naturally he would want an automotive equipment brand that “thinks” (if these lifts could talk!) like he does. BendPak is proud to give Mark and the boys what they need, so they can provide their clients with what they want. We have two kinds of lifts. We have a [four-post lift], which we use mostly to store the vehicles, as well as doing oil changes and transmission services. 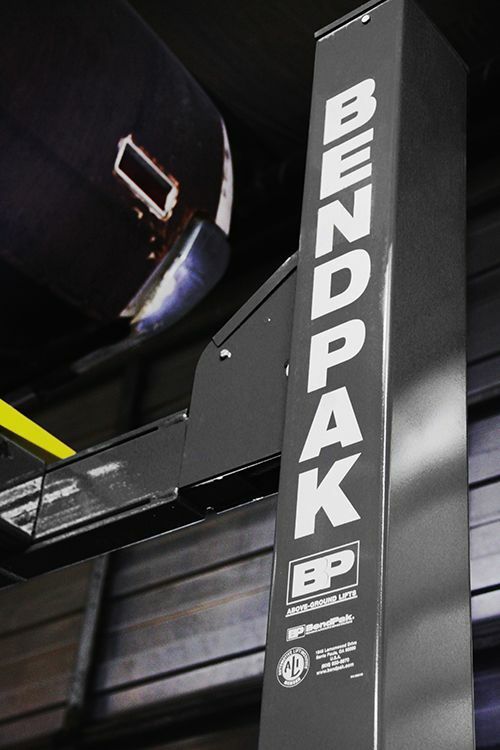 The side-by-side BendPak car lifts [aka two-post lift]... we use those to raise the cars up in the air, so we can assemble the bottom of them once they come out of the body and paint shop. We also use them to lower the cars down, emulating the original factory assembly of marrying the engine and transmission together with the car. 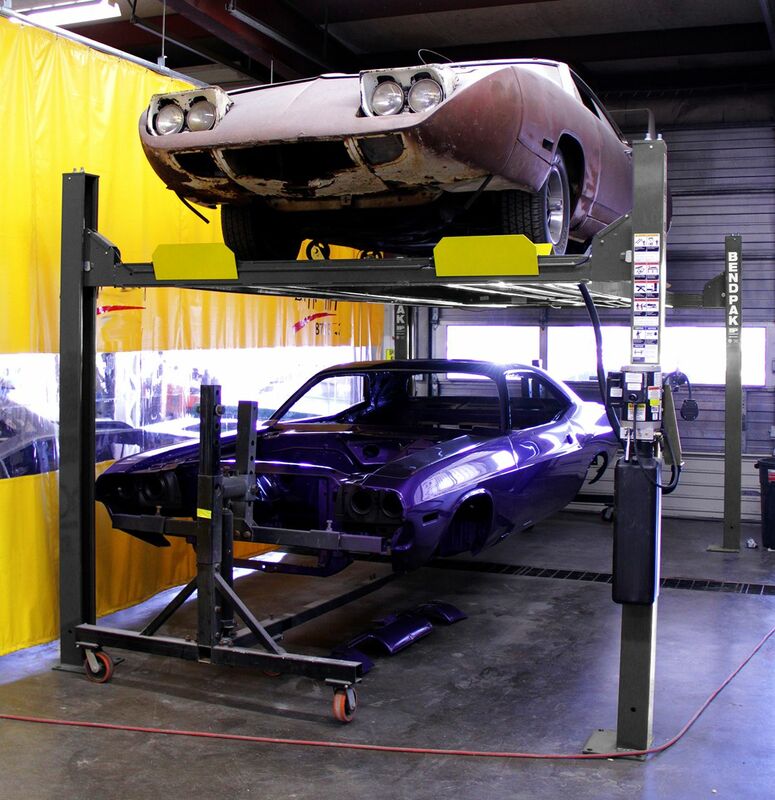 Each car lift has proven to be an invaluable tool to Graveyard Carz.